1 black nylon jacket with black satin "thinsulate" inner lining, includes "Linden Police" patch, detective badge, and name tag "J. Farrugio." Labeled "Frontline, Call of Duty"
1 pair of black polyester/wool/lycra blend pants with black "Flex Grip" elastic on the inside. Label reads "United Uniform: Chicago Police Department Approved Trouser"
Designed by Jessica Wegener Shay. 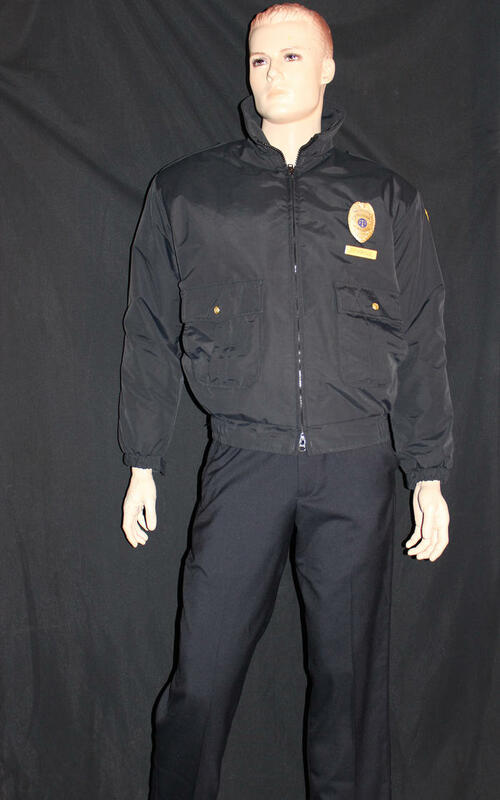 Worn by Mike DiSalvo as Officer.